Col. David Bissonnette, 432nd Wing/432nd Air Expeditionary Wing vice commander, and David Thorson, a USO center director, cut a ribbon to symbolize the official opening of the USO center Oct. 12, 2017, at Creech Air Force Base, Nev. Those who attended the opening were among the first to enjoy the games, food and relaxation the USO offers to base members. USO Las Vegas held a grand opening ceremony in honor of its newest facility at Creech Air Force Base, Nev., Oct. 12, 2017. It is one of four locations run by the chapter and is the first on an Air Force installation in Nevada. 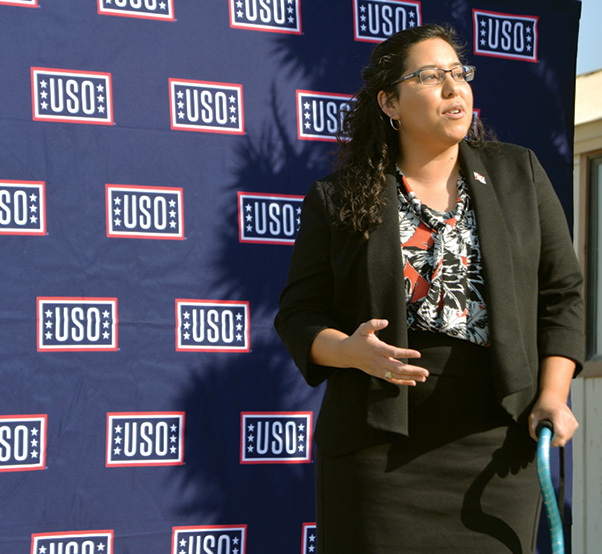 Volunteers hosted a barbecue to celebrate the event and USO representatives spoke about what the USO had to offer. The center will provide a place for Creech Airmen and spouses to decompress by taking part in free snacks, beverages and entertainment. 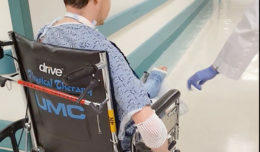 It has a large-screen TV, four gaming stations, a pool table and several other available amenities to increase morale. 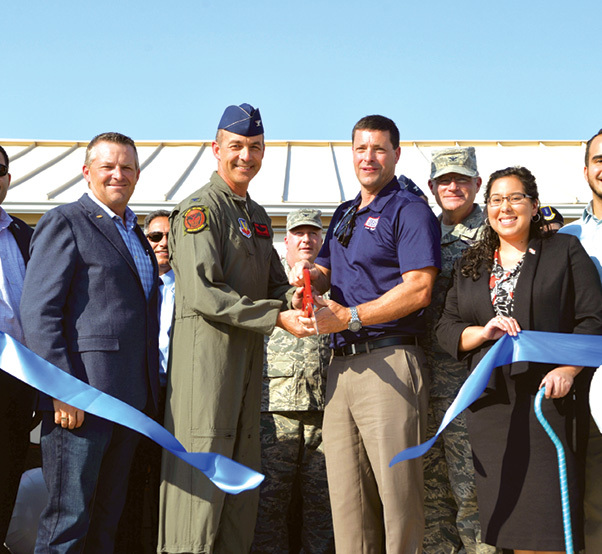 “I think what we’re trying to do is figure out and develop a package of services that we can offer that will make the experience at Creech much more enjoyable for the people that serve,” said David Thorson, center director for USO Las Vegas. The USO will only operate during the day for now, but representatives are looking into the possibility of extending the hours for the shift workers. Several USO volunteers engaged Creech members who attended the USO grand opening and discussed what the new center has to offer at Creech Air Force Base, Nev., Oct. 12, 2017. 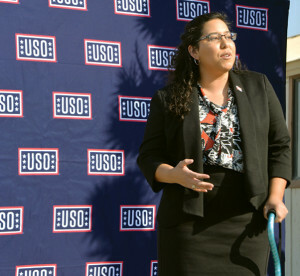 USO workers contributed to the new location in a variety of ways such as interior design, raising funds or providing supplies for the location. Thorson said he hopes the facility will be able to operate alongside Creech’s distinct mission sets. “Our hope is to be able to go 24/7, but we’re just not there yet,” said Thorson. The facility offers volunteer positions, not only for Creech members, but also to interested spouses. Those looking to volunteer are given flexible hours to choose from and have the choice to set up a reoccurring schedule. To participate at the new Creech location, visit https://volunteers.uso.org to start the process. Thorson said the opening allows for the USO to serve alongside Airmen who are conducting continuous operations.